Children of all ages will be delighted by the magical journey of discovery in this award-winning video. Join us as we lead you and your child to a treasure trove of toys, play, songs, and signs. Engaging images and over 35 ASL signs. Don't miss the parent strategy section at the end! A favorite for baby showers! Over 20 classic songs and rhymes are set to engaging images of toys, playful children, and almost 90 ASL signs. 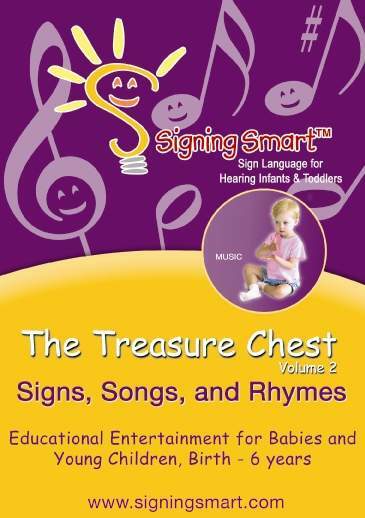 The Signed Song Library and Introduction sections contain even more ASL signs and easy-to-use, research proven strategies for signing with hearing children birth - age 6. Includes bonus audio song CD!